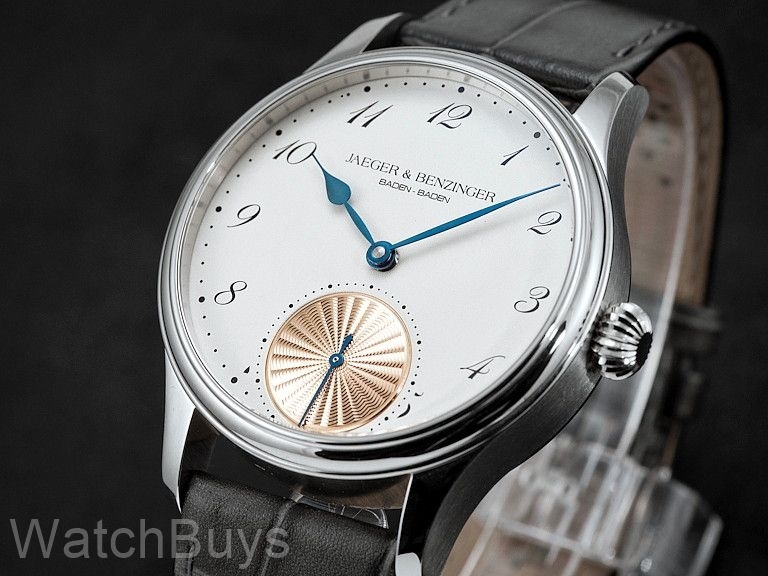 This dial is made completely by hand and in the workshops of Jaeger & Benzinger. 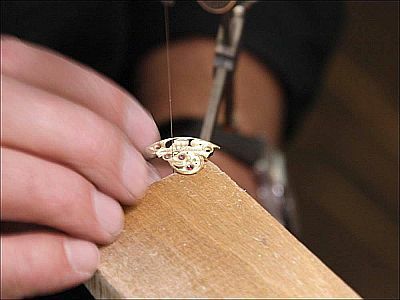 The team first creates the dial in sterling silver, and the uses a process called Breguet frosting. Abraham Louis Breguet, one of the greatest watchmakers of all times, once again is the source of inspiration for the frosted finish on this Jaeger & Benzinger dial. 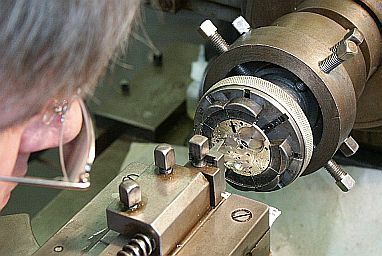 As in the late 18th and early 19th century, the dial surface is worked on using a combination of oxidation by means of an open flame as well as a special acid mixture. The result is a silvery-white surface which resembles frost, and thus the name Breguet frosting. 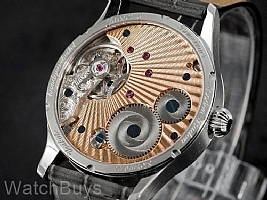 The sub-dial is also made completely by hand, and is created on a rose engine. 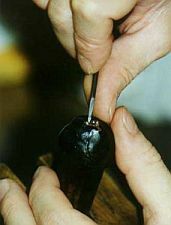 The process of hand guilloche can take hours, and each pattern is essentially unique because of the hand workmanship. Once completed, liquid rose gold is applied for a stunning contrast to the Breguet frosted dial. 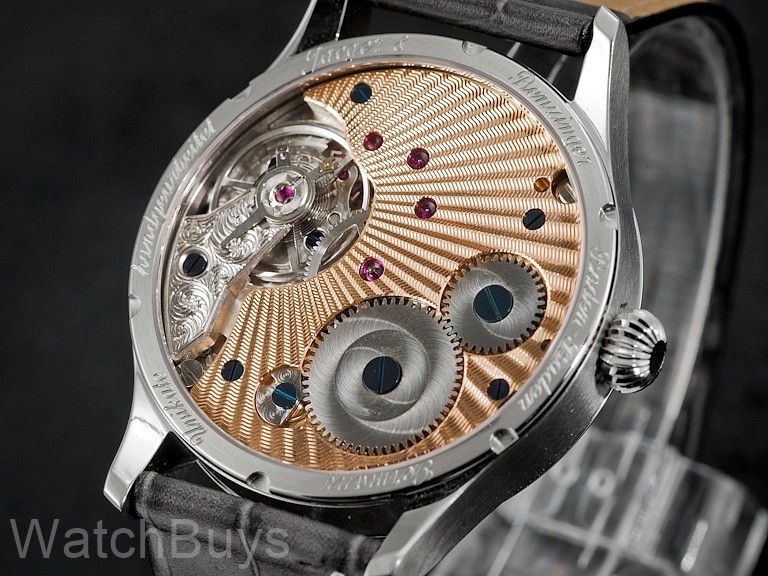 The anti-reflective sapphire crystal is slightly domed contributing to the classic good looks of this watch. It is interesting to note that the Jaeger & Benzinger chose a style of Arabic italicized numerals found in historical German watchmaking books. Verified Owner Comments: I purchased this watch because I was looking for a white faced/enamel watch. What caught my eye was the rose gold seconds sundial. It is a beautiful watch on the wrist and has lovely blue hands and arabic numerals. It is a real pleasure to manually wind the watch.